Mr. Crampton was born in Washington, D.C. in 1947, and has lived in Raleigh since early childhood. He graduated from Washington and Lee University in 1969, and received his law degree from the University of North Carolina at Chapel Hill in 1972. After graduation, he served as a law clerk to the Honorable Walter E. Brock, Chief Judge of the North Carolina Court of Appeals. Mr. Crampton concentrates his practice in the areas of commercial and business litigation and business bankruptcies and reorganizations. He was elected as a Fellow of the American College of Bankruptcy in 1991, the first North Carolina attorney inducted into this national professional organization. He remains one of only six practicing attorneys in North Carolina so elected, and one of two in the Eastern District of North Carolina. He is a Board Certified Specialist in Bankruptcy by the North Carolina Board of Legal Specialization and as a Business Bankruptcy Specialist by the American Bankruptcy Board of Specialization. He is licensed to practice in all Federal and State courts in North Carolina, the Fourth Circuit Court of Appeals and the United States Supreme Court. 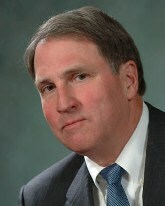 Mr. Crampton has been a frequent lecturer on business bankruptcy and related topics, was a Member of the Planning Committee of the Mid-Atlantic Business Bankruptcy Institute from 1986-1995, and has served two terms as a Council Member with the Bankruptcy Section of the North Carolina Bar Association. He is a current Member of the Panel of Trustees for the Eastern District of North Carolina, United States Bankruptcy Court, and a member of the North Carolina Academy of Trial Lawyers and the American Bankruptcy Institute.